For a classically trained chef (in the French tradition, which is what most of us think of when we hear that term) there is a foundational canon of techniques, sauces, stocks, and cooking “systems” like mis en place that form the elements from which many meals are built. For a home cook like me, a streamlined version of this approach is how I cook without recipes. If I can make a good stock, my risotto, soups, and braises will be delicious and richly flavorful. If I can make an emulsion, I can make mayonnaise, béarnaise and hollandaise sauces. Making a roux is the first step to bechamel (and then mac and cheese) or to gumbo. The globalization of food cultures, particularly in the great American melting pot, means that now home cooks can borrow foundational elements, not just from classic European chefs, but from the kitchens of great cooks all over the world. I grew up in Atlanta when I was in a small minority that ate soy sauce, tofu, tangy plain yogurt, and stir fries, and yet maybe 10 years ago, I saw a three-year old in a supermarket in Atlanta pitching a fit for his mom to open his tray of sushi. There are 10 different kinds of hummus and salsa in any given grocery store. We are familiar with pesto, curry, tom yum soup and enchiladas, tzatziki and tagliatelle and paella, at least by name. The problem that I find with this accumulation of cultural wealth is that the definitions of these foods are often narrowed to a single version, often created for mass appeal rather than for its integrity to the original recipe. 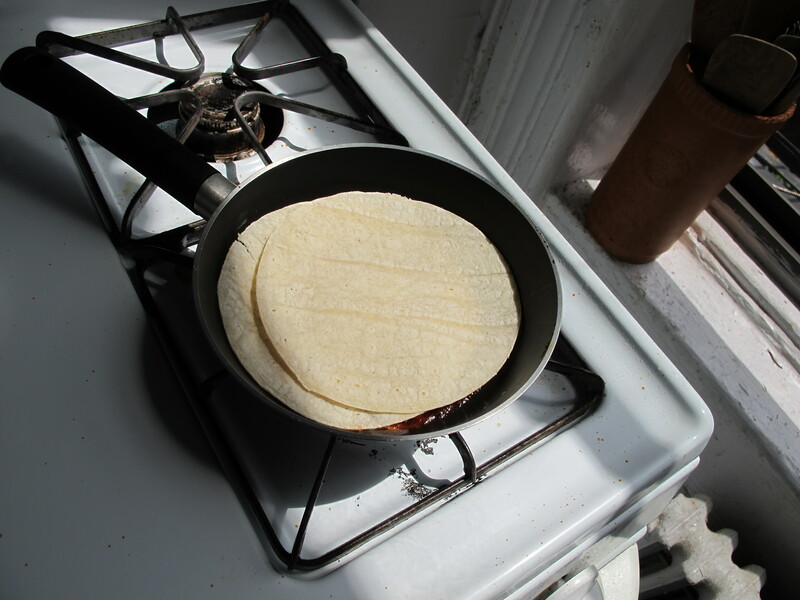 I don’t think there is always a black and white “right or wrong” way to cook something, but we’ll all eat better when we know the difference between a Cool Ranch Doritos Taco Bell taco and a barbacoa taco on a fresh sort corn tortilla. Culinary appropriation doesn’t necessarily bother me – I think it’s one place where borrowing and adapting between cultures makes sense and is more beneficial than not- but I regret when the definitions of a food become so assimilated into the tastes of aggregate culture that they become pale ghosts of the original. Salsa is one of these ubiquitous foods that I think has suffered from translation. Until relatively recently, the best salsa I could find in big supermarkets was pressured sealed (so very very cooked) tomato sauce with a tiny hint of onion, maybe a little pepper, cumin, or cilantro. Even fresh salsa is usually really pico de gallo or salsa fresca, a chopped tomato relish with onions, jalapenos, and cilantro. Obviously, I love tomato salsa, make it all the time, but as I once said to someone who posited that you should be able to find good Mexican food wherever good tomatoes are grown, equating good Mexican food to the availability of good tomatoes is like equating good Chinese food to the availability of baby corn. Mexican cuisines are much more tied to chiles than to tomatoes. Go to any taqueria and check out the condiments. There with the pickled vegetables, radishes, and pico de gallo, you’ll find a variety of chile based salsa, each reflecting the flavor profile of the different types of chiles used (as well as their heat levels). Drying chiles is a common and practical method of food preservation. When our garden in California was producing 20 pounds of serranos and poblanos week, our house was strung with garlands of ripening and drying chiles, trays of chiles in a very low oven to get the last moisture out of them so I could put them in jars. And every time I open a jar of these chiles, I get a wave of deep, spicy, dusty berry fragrance. 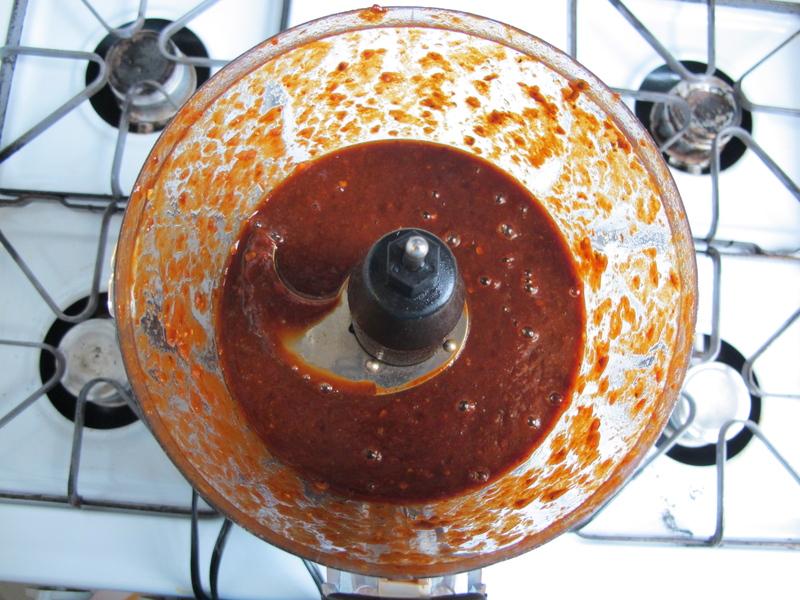 This is one of my favorite chile salsa, one of the “mother sauces” I have in my repertoire. 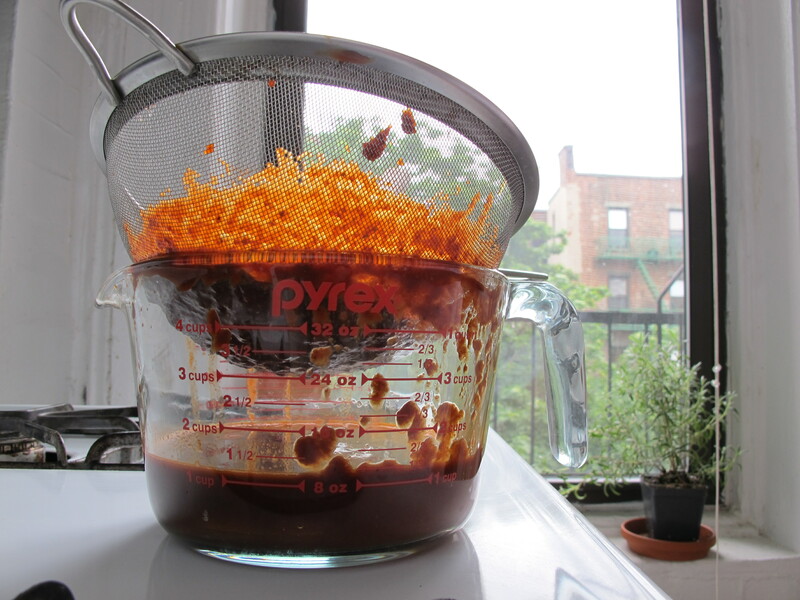 It’s a versatile condiment and sauce I use for chips, as enchilada sauce, to cook with eggs, or to mix into a bowl of beans. The basic technique is the key, and easily adapted to your favorite chiles. This chart is great for dried chile basics and can help if you want to change it up for different uses. I like the smokiness of chipotles on just about everything, so this is my favorite basic recipe. Break up the chiles into large pieces, removing the stems. You can remove the seeds or leave them for a little extra heat. Put them into a heatproof bowl, like a 4 cup Pyrex measuring cup and cover with enough boiling water to make about 2 cups total. 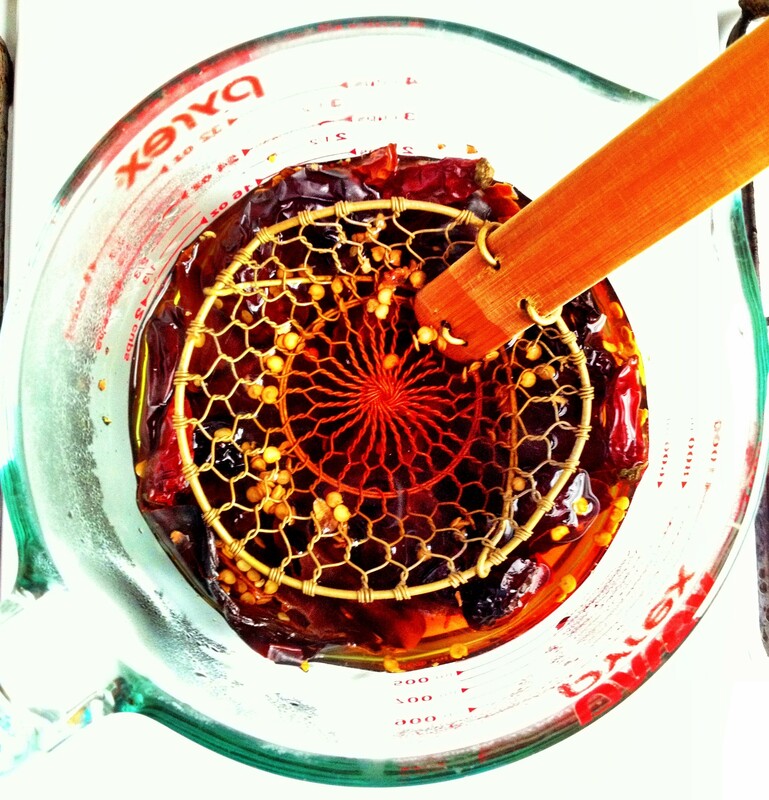 Use a plate, sieve or strainer to hold the chiles under water to soak for at least 20 minutes, until they have softened and rehydrated. 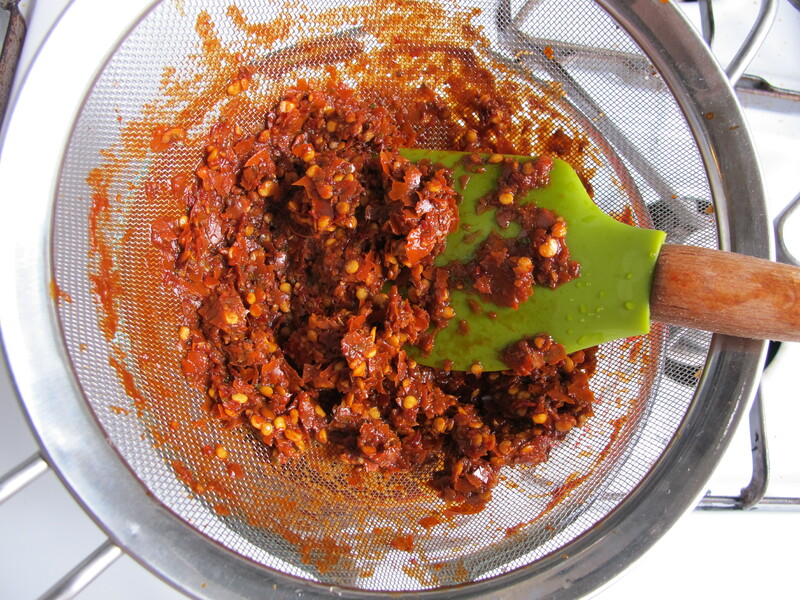 Pour the water and chiles into the bowl of a food processor. Add the garlic and Mexican oregano. Process until the mixture is smooth, breaking down the pieces of chile. Pour the mixture into a sieve over a large bowl and use a rubber spatula to scrape and press the mixture through the sieve; this will remove the seeds and the thin tough skin from the chiles. Once all of the liquid and pulp has passed through the mesh you will be left with a dry paste of seeds and skin, which can be thrown away. Heat a tablespoon or so of oil in a heavy skillet over medium heat. 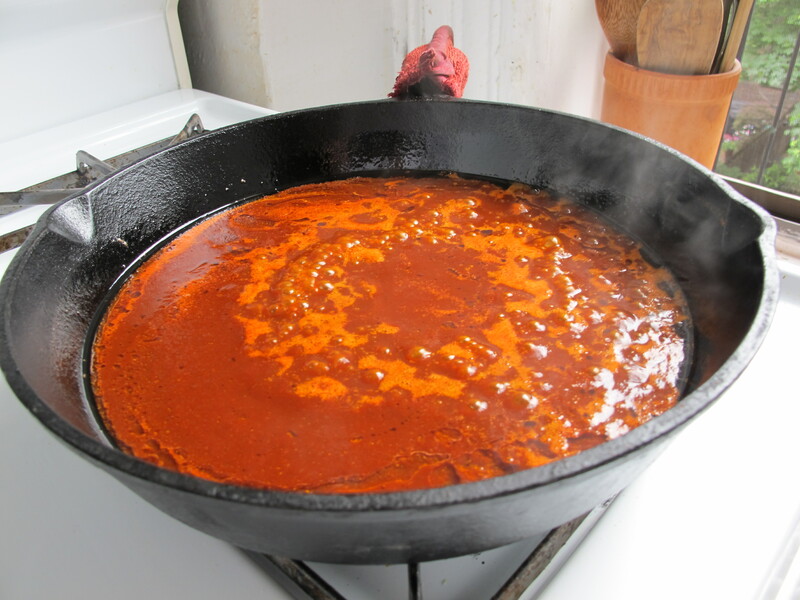 When the oil is hot enough for a drop of water to sizzle, carefully pour the chile puree into the oil and stir to blend. Bring the chiles to a low boil, stir to mix with the oil and reduce slightly the water in the salsa (you should be able to run your finger through it on the back of a spoon and it leave a line without running immediately). Remove from the heat and allow to cool slightly. Salt to taste. 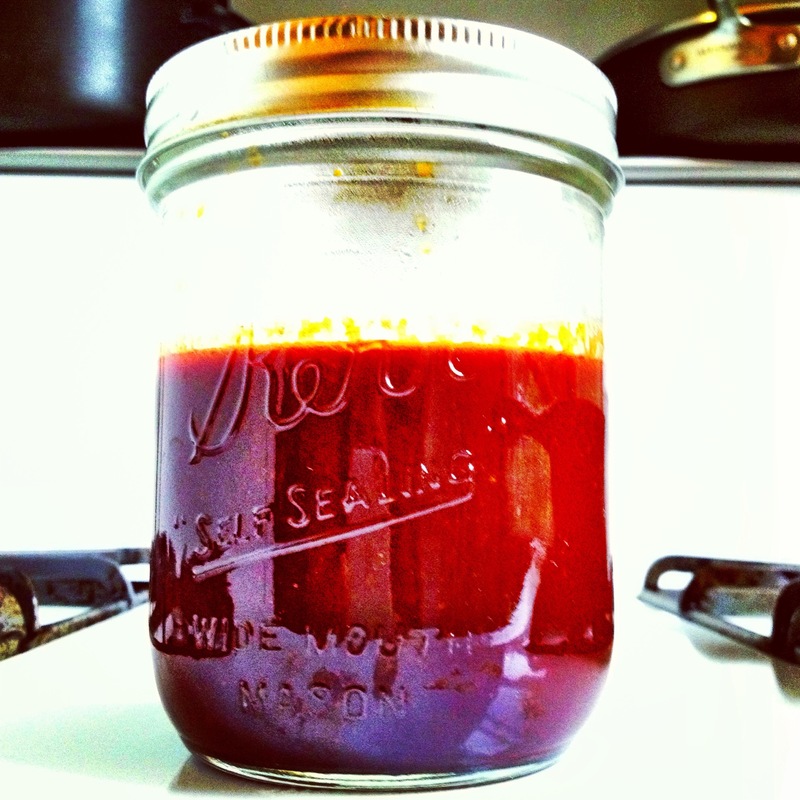 Pour the salsa into a jar and allow it to cool and the flavors to meld- overnight is best. Keep in a jar in the refrigerator indefinitely. 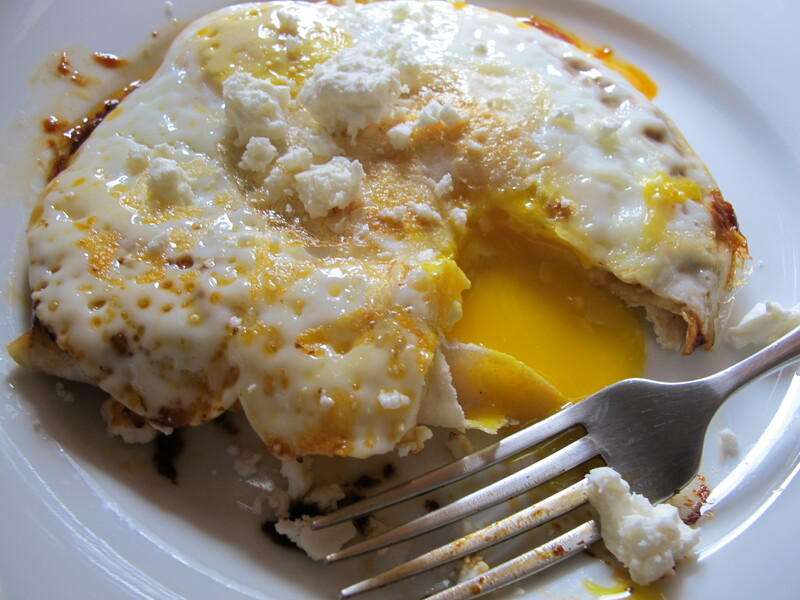 crumbly cheese like cotija or feta. Heat a couple of teaspoons of olive oil in a small non stick skillet for a minute. 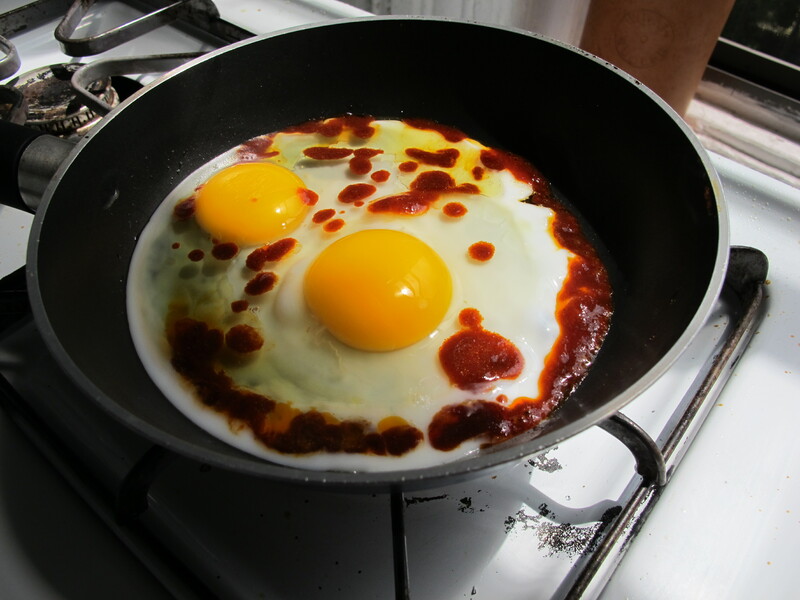 Crack two eggs into the oil, sprinkle with salt and dollop the salsa over the eggs. cover the eggs with the tortillas where they will warm and wilt with the heat of the eggs while acting as a lid so the eggs will cook more quickly. I leave them for 2-3 minutes to get a set egg white and a runny yolk. Place a plate over the skillet and flip the skillet over on top of the plate. crumble the cheese on top and dig in. If you aren’t in too much of a hurry, diced avocado is also a great addition. This looks delicious. I want to make some soon! I also love chipotle best.